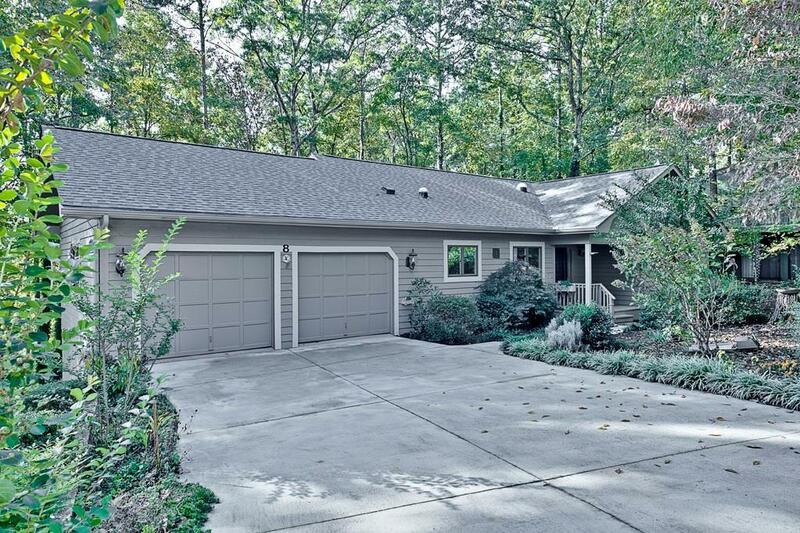 This updated, golf course home with 3 bedrooms and 3 full baths is located in a very quiet woodland setting on a cul-de-sac in the gated amenity rich community of Keowee Key. The many upgrades include: custom-painted cabinetry, granite counter tops, stainless steel appliances, hardwood floors, travertine master bath floor and shower, new architectural shingle roof, new Trane HVAC System, recently painted inside and out, two screened porches and more. All bedrooms have walk-in closets. The main level living offers the master suite and guest bedroom and bath, a gorgeous kitchen with well-sized island bar plus a seated dining area, laundry, great room with designated dining area, vaulted ceiling and large screened porch overlooking the golf course and surrounding woods. The lower level provides a second bedroom suite for family and guests, a comfortable rec-room with masonry fireplace, large screened porch, and three additional multi-purpose rooms that can be used for an office/craft room, bunk room, storage or for whatever purpose. The easy to maintain landscape and exterior is nestled in shady woodland setting overlooking the 6th fairway.